Native to Central Asia, peas were cultivated for a long time only for their dry seeds. It was not until the 17th century that people began to consume the fresh version, but it was so expensive that no one but wealthy aristocrats could afford it. Fresh peas don’t have a long shelf life, and people only started growing them on a large scale after the technique of canning was invented in 1821. Even today, people mostly buy the frozen variety because freezing preserves a large part of the nutritional qualities and taste of this green vegetable. But nothing comes close to the delicate flavour of fresh peas. Because they begin the process of converting sugar into starch as soon as they are picked, they must be purchased on the same day they are picked. The pods should be bright, green and firm. That way the peas will be crisp, slightly sweet and they can even be eaten raw. 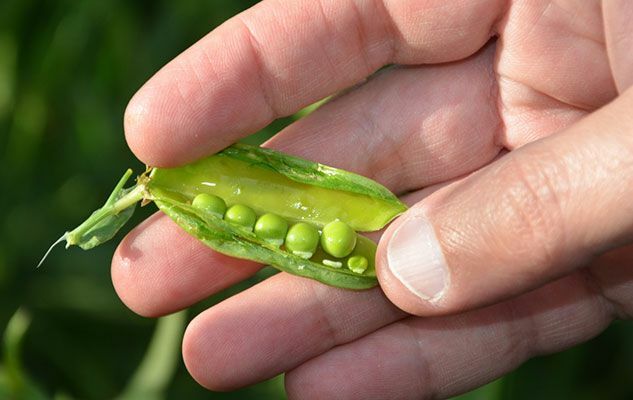 From now until the end of July, we can find fresh peas in our markets. Enjoy them! Originally published in the Journal de Montréal on July 20, 2013.